- Are you a local business looking at ways to increase the amount of local food that you source? - Are you a community garden, allotment or market garden looking to make links with local businesses to sell produce? Come along to a day of site visits, networking, talks and films. Plus a free buffet made using produce from Glasgow's community gardens and allotments. 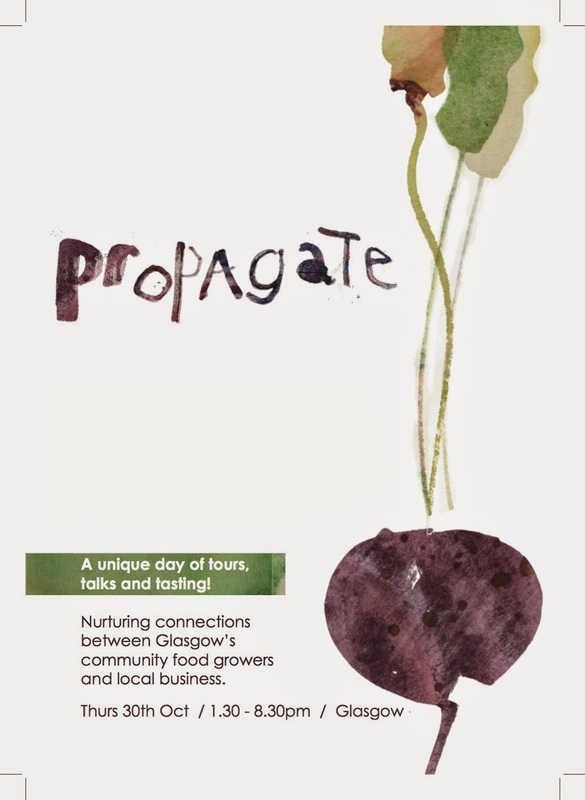 1.30 - 5.30 - Site visits to Locavore's market garden in Neilston, and Urban Roots' market garden in Toryglen. Transport is free, but must be booked in advance. Please contact roz@farmgarden.org.uk to register, or kate@concretegarden.org.uk if you've got produce you'd like to sell to us to add to the buffet! Please circulate the flier to anyone who might be interested.